Benjamin . A. Mead Jr.
Benjamin Asbury Mead Jr. age 85 of Idabel, Oklahoma went to be with his heavenly Father on Saturday, February 2, 2019. Benjamin was born on January 8, 1934 in Pennsylvania the son of Benjamin Sr. and Lila Rose Mead. 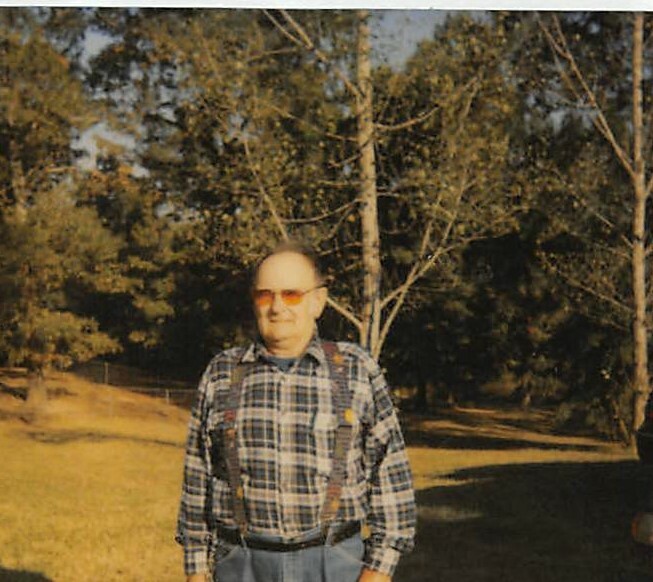 He loved to fish, work in his garden, travel, loved blue grass and country music. He loved the Lord, family, grandchildren and his dog Christina Maria. He was a member of the Community Baptist Church of Broken Bow. Benjamin and June were united in marriage on June 30, 2000. Benjamin served in the Korean War and received a purple heart. He is preceded in death by his previous wife Laura Gordner Mead, parents, Benjamin Sr. and Lila Rose Mead, and a step-daughter, Sheila Adams. Benjamin leaves to cherish his memory his wife, June Mead of the home, daughters, Debra Welliver and husband Larry of Danville, Pennsylvania, Dolly Haynes and husband Emory of Towanda, Pennsylvania, sons, Bert Mead and wife Kim of Muir, Pennsylvania, Lynn Mead and wife Angie of Millville, Pennsylvania, sisters, Ella Stark and Ruth Mead, brother, Leo Mead, step-children, Diana Webster and husband, Harold of Cape Coral, Florida, Frances Jandrew of Eldred, Pennsylvania, Vernon Haxton and Alan Haxton of Tennessee. A Celebration of Life service will be held on Friday, February 8, 2019 at 2:00 P.M. at the Bunch-Singleton Funeral Home Chapel with Bro. Archie Phillips officiating.